Here we are 6 Sleeps to go!! 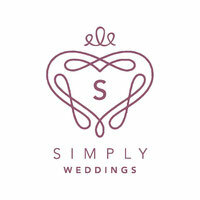 Simply Weddings @ The Manor! We will be there .. with sparkly bells on.. and we are sooo excited!! Simply Weddings is all about the hidden gems and something special, so when we were presented with the opportunity to have a fayre at the amazing Rosewarne Manor, we jumped at the chance. We did a little market research and were so surprised that so many knew the name and the reputation yet weren’t actually sure where it was.... So, we are here, to not only point you in the right direction, but showcase this superb venue which can offer bespoke packages to suit you. 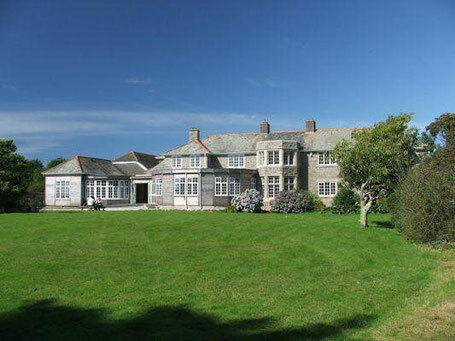 Nestled just outside of Hayle in the beautiful Cornish countryside, this elegant building is set in its own gorgeous gardens and located only 5 minutes from the beaches and a matter of minutes off the A30. These prestigious awards are only a few of the many, that this special venue has gained in the past year! Offering complete choice at every option, you will be very safe in the hands of Cyril and his team. They will assist you in the run up to the wedding, helping with menu's, which room to suit your ceremony, how to make use of the space and of course how to plan the day with exclusive use. This fayre is a little different to our last, we are all out in the stunning JSV Marquees Sail tent. No, not the cute one we had at Tregenna, the super magnificent 90ft Sail tent. It will be decorated in the very opulent Fushia/Hot Pink and Teal. The amazing Traci from Funky Flags Bunting has made some specially for us and this event (We are very lucky to have her on board!). We will hopefully have a beautiful breakfast table set up in the colours to show you how bright and bold can really work well for a theme. Cyril will be on hand to show the Manor, and the restaurant will be open for Sunday Carvery (only £9.95!). Venue dressing plus a few I have probably forgotten! We also have exhibitors for Mums, a stunning new range for gifts for the bridesmaids, and to keep the children entertained.. a bouncy castle AND a soft play area! And to top it all off performances from the super fantastic amazingly talented Swing Kings!!! Phew, it going to be a great day ....Remember.. Free parking, Free entry, Free Copy of Cornish Brides and Free Entry to our prize draw. Hi Dear, are you in fact visiting this web site on a regular basis, if so afterward you will definitely obtain pleasant experience. Thank you for another magnificent post. Where else could anyone get that kind of info in such an ideal method of writing? I have a presentation next week, and I'm on the look for such info.